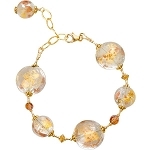 Rich warm gold and bronze tones are mixed with splashes of silver on this Venetian bead necklace, with an added sparkle coming from the Swarovski Crystals. 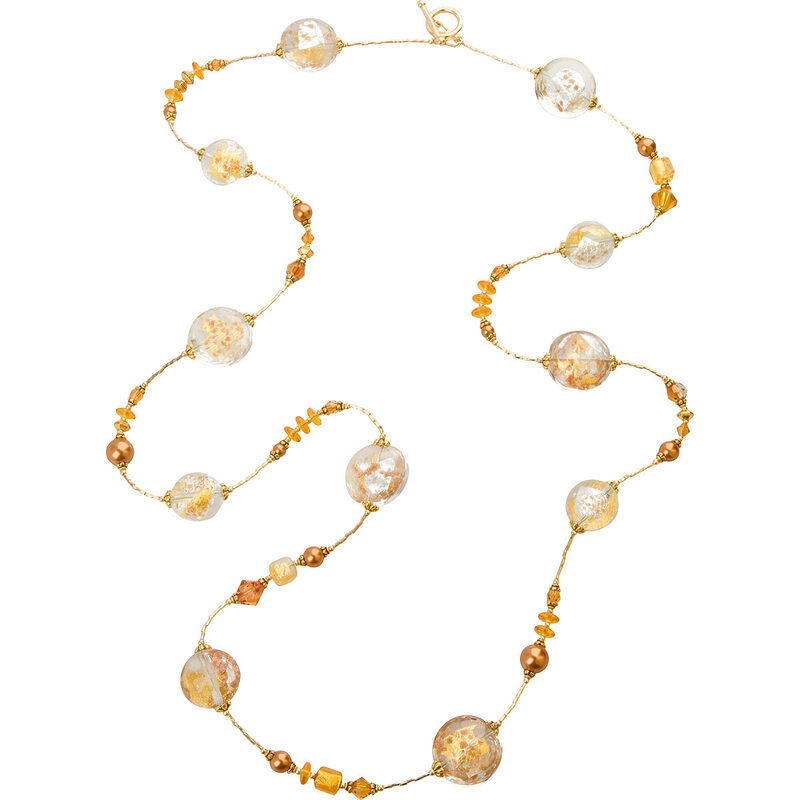 This fabulously long 34 inch necklace features a mix of gold-filled and gold plated findings and is easily attached with a toggle clasp. Designed and manufactured in the U.S.